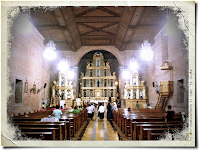 This charming church made of bricks is Liliw Church, also known as St. John the Baptist Church in Laguna, is the last of 7 churches that I visited together with blogger friends Don, Fitz and Rina last Tuesday, March 12, 2013. I'm not really certain about the year it was built. 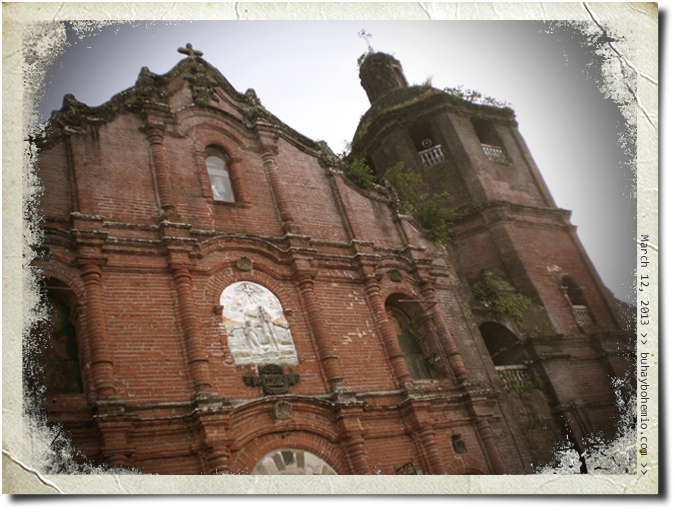 The present structure may have been built (or rebuilt) after the earthquake of 1880. 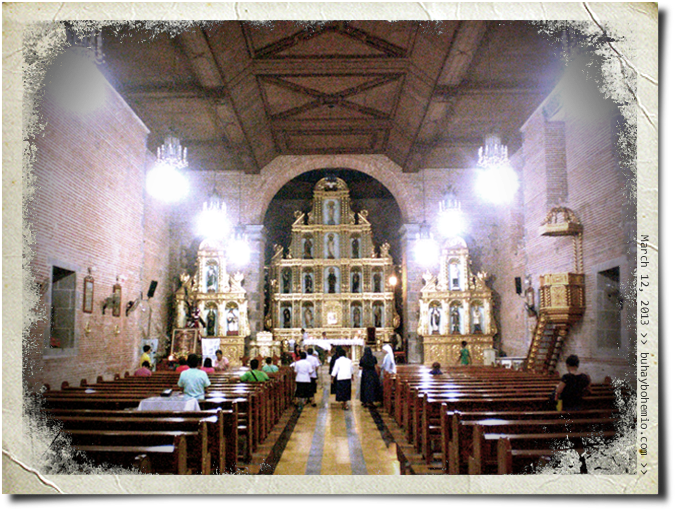 It was late afternoon when we got here and a mass had just been concluded. 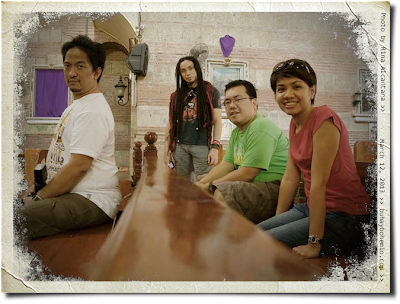 We hurried to take pictures before the church personnel starts to turn of the lights. 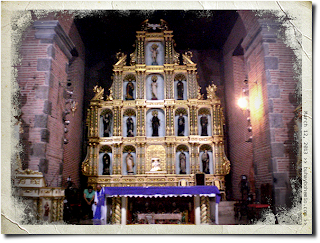 Nice grand retablo. Beautifully framed by the arch of the apse. The retablo on the left side. Unlike the ones in Pakil and Paete, the carvings are more refined with a smooth finish. Creating an interesting contrast with the rough brick wall. 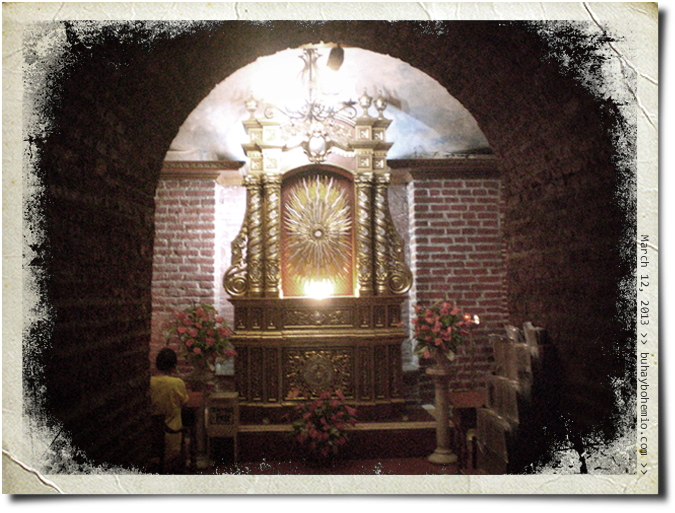 The Adoration chapel located near the main entrance of the church. So there you have it, folks. This concludes the Rizal-Laguna church trip. 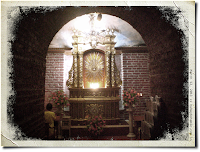 Starting from Moron Church, then Baras Church, Tanay Church in Rizal, then Pakil Church in Laguna, Paete Church, Pagsanjan Church and finally Liliw Church. 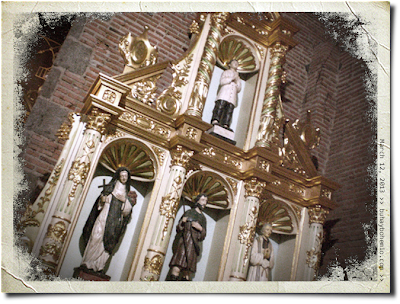 If you are accustomed to doing a Visita Inglesia outside Metro Manila, try these beautiful historical churches!